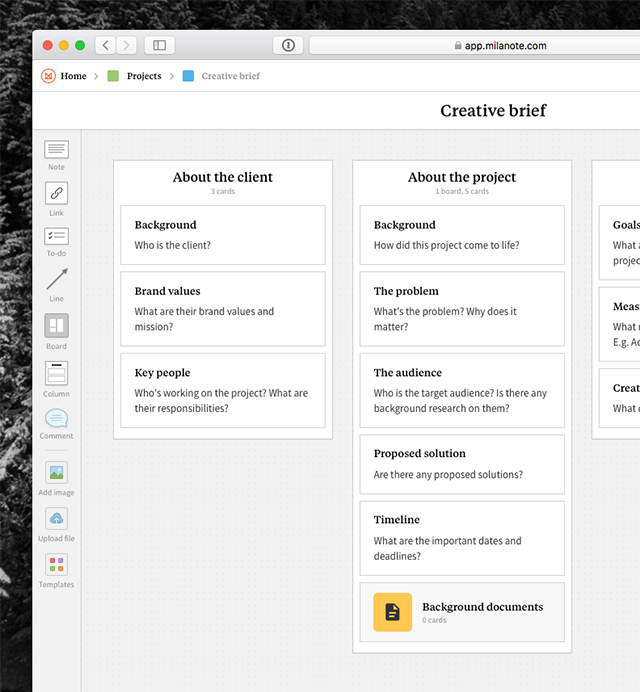 Create a new board with the starter content you'd like for your 'empty' template. This is the content you'll see when you reuse the template. 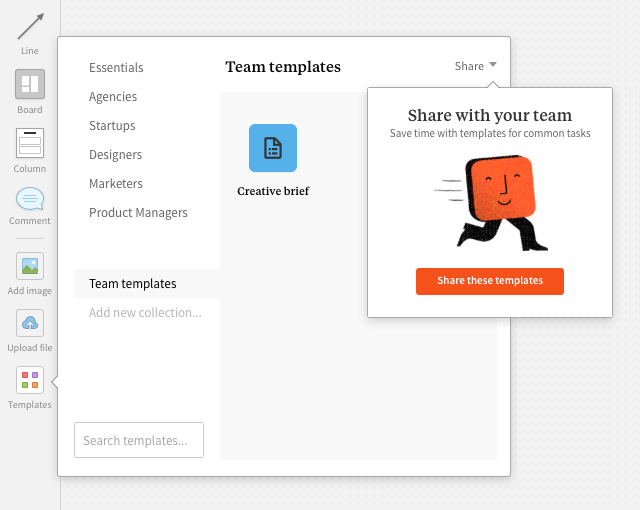 Shared templates help make your team's common tasks easy and consistent.